Premium Transportation Services in Belding, Michigan, can help grow your business or your career. Our company is looking for regional over-the-road truck drivers to fill openings in our fleet. Applicants must have at least two years of driving experience or successfully completed a approved training program. 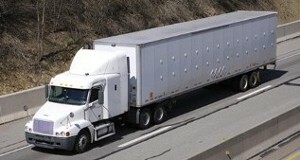 Applicants must also have a Commercial Driving License with a CDL-A designation and be able to pass a drug screening. We are a family company with about 25 trucks in our fleet. Work with the same people and office on a consistent basis. Our owner is present at the office every day. Our equipment is well maintained and we work hard to build a schedule that meets our driver's needs. Earn a competitive wage, our top drivers make $50,000 to $60,000 annually. Contact us for more information on open truck driver positions. Contact us for more information on truck leasing opportunities. Our company can provide your company both trucks and drivers to meet all your shipping needs.